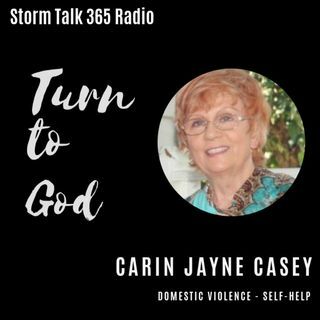 In “Turn to God with Carin,” Carin Jayne Casey began her October series for finding victory in the face of challenges. She gave a brief testimony with a few facts about domestic violence [ref: www.CarinJayneCasey.com for information]. Like David fighting Goliath, we can look at what God has done to build our faith. In following segments, we’ll discuss Casey’s ‘recipe for overcoming. How can we become conquerors? Please join us, your feedback is ... Maggiori informazioni welcome!